I became the president of Social Media Club St. Louis about two and a half years ago. I took leadership from an excellent leader and friend, Brad Hogenmiller (@javastl). Brad and our board at the time, many of whom have since become advisors, felt strongly that we not charge for membership and that instead we let our fans and friends of SMCSTL speak for themselves as "members" of a new kind - as people who simply enjoy convening in St. Louis to network and learn about social media. Since then, I've noticed that our board has taken to calling our fans and friends the SMCSTL "community". Because we don't have "members" per se, we truly have fostered a "community" of friends. The SMCSTL board respects, admires and values the SMCSTL community. The board meets monthly to discuss upcoming events and initiatives, and we're always talking about how to make those events more valuable and worthwhile for attendees. In late summer of 2014, our board conducted a survey of our community, and over 130 of you responded to the survey. Here, I would like to share with you some of the most interesting findings from that survey. When we asked you to rank the types of events you feel are more interesting to attend, you told us that educational events on a specific topic are most valuable. After that, Educational events focused on a specific social media outlet rank second. Then, you ranked the following events in order of importance: purely networking or happy hours, events featuring a national speaker, full or half-day conferences or workshops, events connected to another St. Louis area event or institution or highlighting the St. Louis region as a whole, and then events benefiting local non-profits. Please force rank the following types of events, with 1 being the events you would be most interested in attending, and 8 being the events you would be least interested in attending. We've hosted a variety of events in the past few years for which we've charged admission. We've charged anywhere from $5 to $55 admission, but we really wanted to know what you think about admission charges. What is our community willing to pay to come to an SMCSTL event? hen we asked, "For paid events, please indicate the amount that you feel is most reasonable for a networking event that includes some form of content / program such as a speaker or panel on a topic," the amount that ranked the best was $10 - $20. Another development that has happened in the past year or so is the creation and growth of our sister chapter, Social Media Club St. Charles (@SMCSTC). We will continue to look for opportunities to partner with SMCSTC, but we're also thrilled that they are here, under solid leadership, to focus on events and knowledge sharing among the social media fans and followers who live in and around St. Charles County. 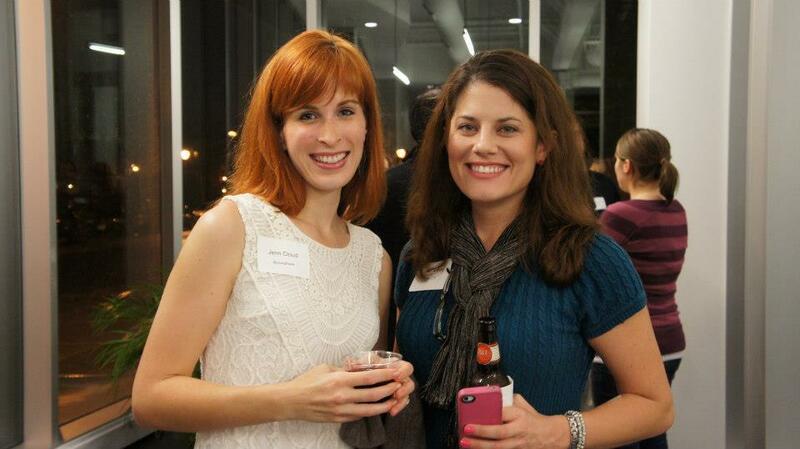 Let us know what you think any time by submitting feedback on our website, or tweet at us @SMCSTL! Be sure to subscribe to receive updates about upcoming events here. Jason Falls, Tm Foremski, Maheesh Jain, Brendan Lewis on our Startup Voodoo panel, Sep 24, 2014. SMCSTL President Erin Moloney discussing values-based marketing on a panel this afternoon at the AdClub St. Louis Digital Symposium. Published author and SMCSTL Board Member Lisa Kelly at her SMCSTL Book Signing event for "Echoes from the End Zone: The Men We Became." Visit http://www.themenwebecamend.com/ for more on the book! Lisa Kelly (@4LeafCloverGirl) launched her book and shared her story at our August 2013 event. Pictured here with @ambabka. 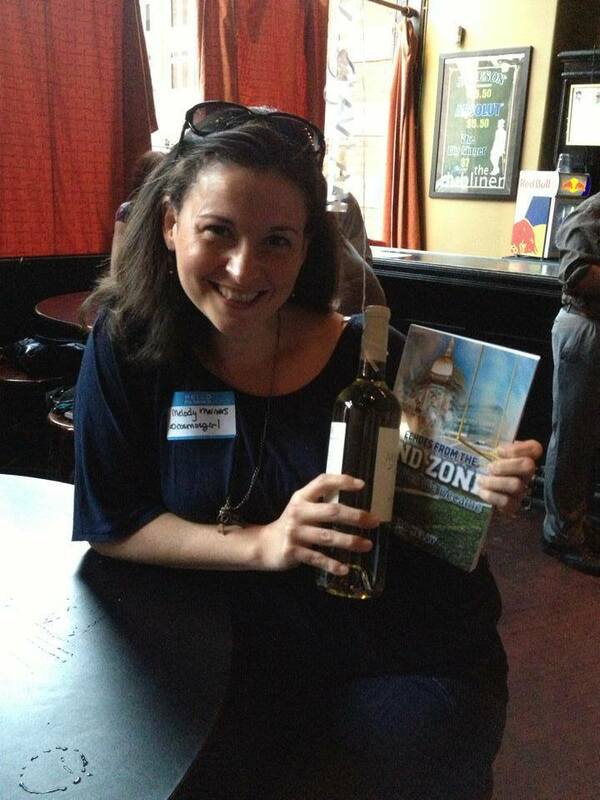 In August 2013, we had the joy of hosting the book-signing party for our very own @4LeafCloverGirl. Here, raffle winner Melody shows her prize! Visit http://www.themenwebecamend.com/ for more on the book! This event, held in partnership with The Salvation Army (@SalArmySTL) in May 2012, sold out and packed the rooftop of the Moonrise Hotel (@MoonriseHotel). Hashtracking figures showed that the message of The Salvation Army reached 150 people in person that night, and more than 230,000 through the power of social media. The event trended that evening and led to a secondary post-event buzz for future events. This event, held in partnership with The Salvation Army (@SalArmySTL) in May 2012, sold out and packed the rooftop of the Moonrise Hotel (@MoonriseHotel). Hashtracking figures showed that the message of The Salvation Army reached 150 people in person that night, and more than 230,000 through the power of social media. The event trended that evening and led to a secondary post-event buzz for future events. Shown here: Major Jeff Richardson, The Salvation Army. This event, held in partnership with The Salvation Army (@SalArmySTL) in May 2012, sold out and packed the rooftop of the Moonrise Hotel (@MoonriseHotel). Hashtracking figures showed that the message of The Salvation Army reached 150 people in person that night, and more than 230,000 through the power of social media. The event trended that evening and led to a secondary post-event buzz for future events. Shown here: @STLDanni, @AndreeaC_T and @Mersealx5. 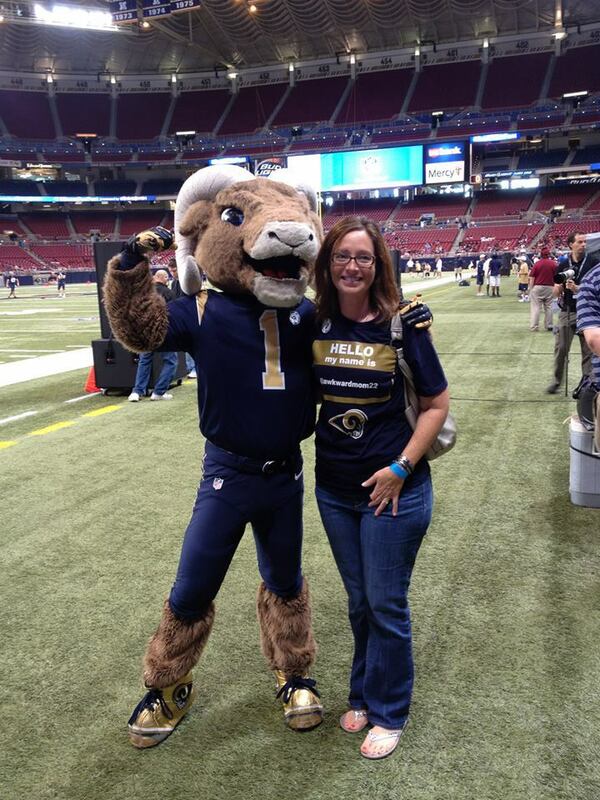 Pictured here: @RossPR with the St. Louis Rams Cheerleaders! In October 2012, SMCSTL hosted an exclusive Saint Louis sports and social media panel, made up of two of city's most prominent social media managers for professional Saint Louis sports teams. We heard first-hand experiences and perspectives from the man behind @STLouisBlues, Matthew Gardner, and the man behind @STLRams, Brian Killingsworth. To keep things super engaging, we enlisted moderation from local sports enthusiast, JoeSportsFan.com journalist and all-around fun guy, Matt Sebek (@MattSebek). The Spotlight Series showcases local artisans in the St. Louis community-- independent business owners passionate about honing their craft and unique craftsmanship. Newer PostMeet the new @SMCSTL board members!